Here's the conventional wisdom: ceiling fans are functional and chandeliers are beautiful, so you have to choose one or the other. You can't have it both ways, right? Wrong. 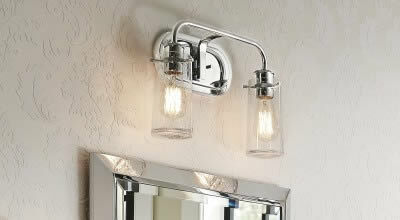 There are some light fixtures out there that can be beautiful and functional at the same time. A chandelier and ceiling fan in one? Yes, they exist! Because the term "a ceiling fan that looks like a chandelier" is a bit of a mouthful, we tend to call them Fan D'liers or ceiling fan chandeliers. 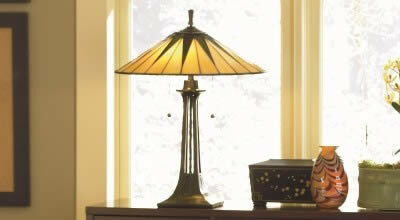 Our selection of Fan D'liers can provide illumination and comfortable air flow at the same time. 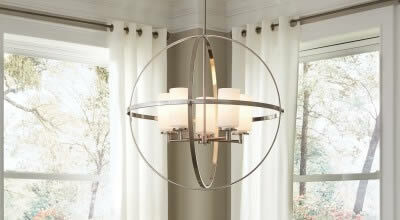 That combination is what inspired the product name, which is a portmanteau of fan and chandelier. 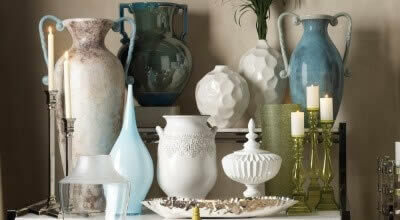 Fan D'liers are more compact in size than typical ceiling fans and come in an array of different styles and finishes. 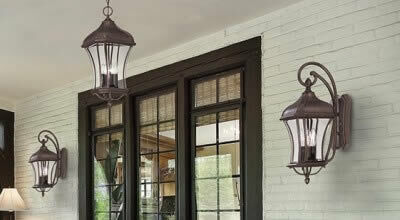 There are even Fan D'liers available that have a damp area rating, so they can be used in covered outdoor living spaces like patios and porches. That can make your outdoor living areas more comfortable and usable, even in the hottest dog days of summer. The thoughtful combination of comfort and light isn't the only great thing about Fan D'liers, though. In addition, there are some models of Fan D'lier that can actually help improve your life and your health by using anions! Anions, also known as negatively-charged ions, are molecules that are often found near waterfalls, mountains and beaches—relaxing outdoor places where you breathe the air and feel refreshed right away. Anions help increase the flow of oxygen to your brain so that you feel better: more energetic, more alert and less tired! They can also help reduce the particles in the air that cause irritations like coughing and sneezing. Fan D'liers that use the benefit of anions are marked with the label "ionizing" in the item name. You can find Fan D'liers to suit any decor style, whether you have a cutting-edge contemporary home or a terrifically traditional one. 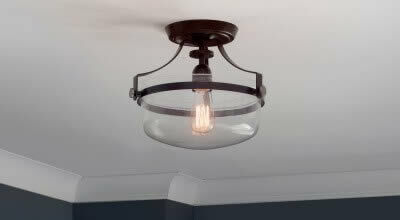 An especially popular Fan D'lier is the Alsace, which has a design that combines traditional, rustic and industrial elements for an intriguing and versatile look that has been featured in the HGTV Dream Home 2016 as well as on Property Brothers. Plus, you can further customize a Fan D'lier with helpful accessories. We sell multiple sizes and finishes of downrod, meaning you can get the right length to suit your ceiling--even if it is very high--and hang your Fan D'lier so it reaches the right height. You can also find remote controls that will let you control your Fan D'lier without having to get up from your seat or bed! Some Fan D'lier models include a remote control in the box. Are you ready to shop for a Fan D'lier to fit your home, light it in style, keep you cool and help improve the quality of the air you breathe? Browse our full selection of Fan D'liers. Contact us if you have more questions about Fan D'liers! Sign up for our email newsletter today and score an additional discount!